This is a story that comes to you from a father through a friend. A story you hope you never have to tell but a story that everyone should hear. Johnny Moore of Fat City Customs based in Middletown, CT has been a personal friend for over 10 years. We met through this wonderful world of 2-wheel madness. 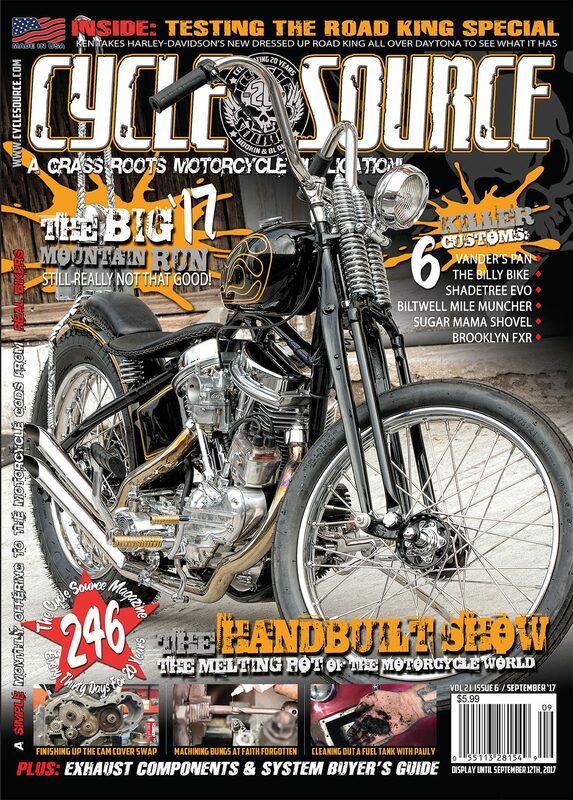 I have shot several bikes for him over the years and because of his talent some have graced the covers of only the best magazines on the stands. Through this friendship is where the real story comes to play, the incredible life and times of Dimitri Moore! I have known this young man, known to family and friends as Meechy Moe, for 10 plus years. 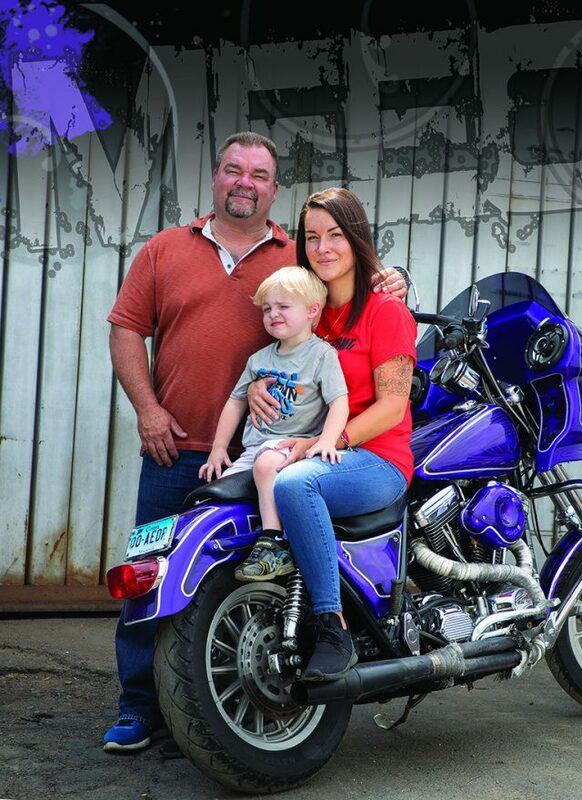 Since he was a young boy he has been at his father’s side for every build that came out of Fat City Customs. Meechy was taught to paint and learned the ticks of the trade from the likes of people such as Dave Perewitz and Eddie Trotta. Both would be quick to tell you he was a natural, one you don’t see every day. He was also fortunate enough to have his craft passed on from father to son. Living the life that most of us dream of, this father and son team stuck together like glue. Where there was Johnny there was Dimitri! From riding on his 15th birthday in Sturgis alongside other biker legends to chasing ice cream back home in Middletown on a late summer night, all on two wheels, they always found a way to be together. Even with Dimitri living with his mom, they always found ways to make the weekends theirs and to ride … together. When I received a text message back in April of this year from Dimitri, I fi gured he was reaching out tell me his dad had another killer build for me to shoot. Instead, it was Dimitri reaching out for himself for he had fi nally put the fi nishing touches on his daily rider. A super slick 1987 FXRS. It’s funny when I think back, this super cool kid was so shy and humbled just to ask me to see if there would be any interest in featuring his bike. After seeing pics of the bike, I knew this rag would be the perfect place for this ride. And at the age of 23, what better place to have your fi rst national feature! I sent a few cell phone pics to the boss and before the day was over the bike was on my shoot list. Excited to tell Dimitri the news I shot him a text and his reply was off the hook with excitement and just pure gratefulness. That would be the last time we spoke. It is with a heavy heart that I report, like many young people in this country, Dimitri lost a long dark battle with substance abuse and took his life on May 11th of this year. This tragic loss haunts many of us that knew him. His memory will never leave us because there was so much more to this young man that so many never knew. Animal lover and artist, life of the party, just a few of the traits Dimitri was known for by friends and family. He shared an unbreakable bond with his sister Mariah who through good times and bad was his friend and watch keeper. They were as close to soul mates as siblings can be. Everywhere Dimitri went he shared his priceless smile with the world at no cost and it can still be seen through his sister Mariah. Now this bike. In an effort to help with recovery Johnny made a deal with Dimitri. Johnny knew that his love for riding and sharing the road with those close to him could be the start of a helpful solution to the revolving door of recovery which was now opening and closing way too much. Johnny found a basket case FXR and the deal was the following: This is your bike. No one can, or will ever it take from you except me. Build it, paint it, love it. Let it be your personal comfort zone. However, when you jump off the road of recovery so does the bike. Dimitri saw the spark of hope and the bike became part of his life. With the zest to ride and keep his promise to his dad a 4-year project began. 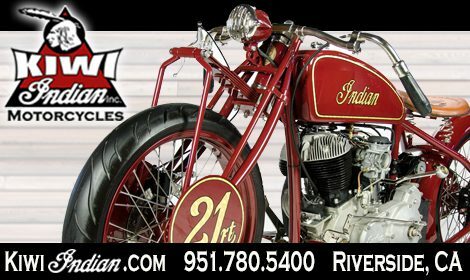 Engine work by Fast Skull Cycles, Thunder Header exhaust, forks by Showia, custom Mustang seat, and West Coast bars are just a few of the design elements that you see before you. The police fairing and killer stereo system would be next to follow. For the final personal touch, Dimitri did what he was known to do, laid down a beyond killer paint job that would rival the best out there. Truly a daily rider but also a refl ection of a young builder’s zest to be like his dad, this was the pride and joy of a young man fi ghting a daily battle to survive. 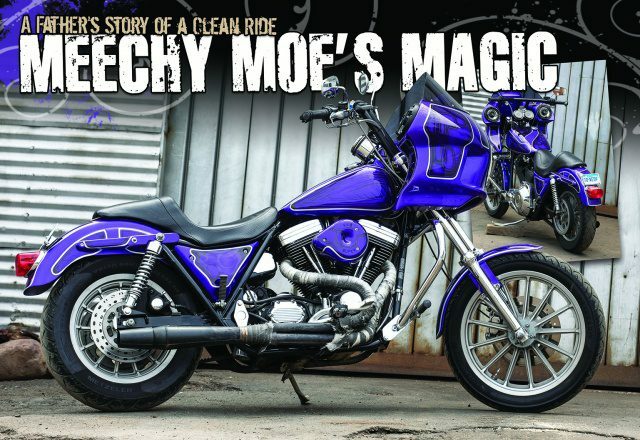 The bike will be forever known as Meechy Moe’s ride and a moving memorial in the town of Middletown, CT. The ride, as it should be, is now passed on to his sister Mariah who will always have a special part of Meechy with her when the wind blows through her hair on the roads he loved so much. In the end a life cut too short, but not without sharing so much love. This was the Meechy Moe way and this I hope would be the way he would want to be remembered. 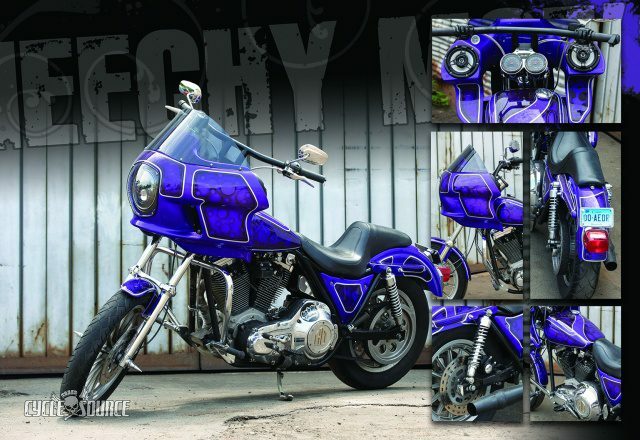 This entry was posted in Feature Bikes and tagged Back Issue, custom bikes, Cycle Source, Cycle Source Magazine, Feature bike, FXR, Meechy Moe's Magic, November 2018. Bookmark the permalink.